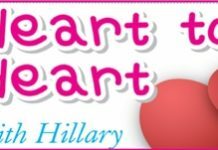 Home Blogs Heart to Heart with Hillary Wee wee a big big problem? Wee wee a big big problem? My Thai GF sleeps over two times a week but she has some strange habits. I have a great two bedroom, two bathroom condo which is very nice. She sleeps in the room OK with me but always uses the second toilet, not the en-suite attached to the main bedroom. Showers OK in the en-suite, but always in the second toilet when she wants to pee. Is this normal for Thai women? You do have a maid, don’t you? Someone who cleans bedrooms and toilets. Or are you doing for yourself? It sounds to me like the sheets go to the laundry, but the toilet doesn’t get done. Do you flush every time? Squirt of the blue stuff once a day? Dump some of the blue balls in the cistern to make that lovely blue water, remembering that blue and yellow makes green. Try that my Petal and you’ll be Lionel of the Loo. Amaze your friends by knowing who invented the Water Closet (that’s why it is called a W.C.) and the inventor was (roll of drums) not Thomas Crapper! Alexander Cummings is generally credited with inventing (or, at least, patenting) the first flush mechanism in 1775 (more than 50 years before Crapper was born), and plumbers Joseph Bramah and Thomas Twyford further developed the technology with improvements such as the float-and-valve system. Thomas Crapper, said an article in Plumbing and Mechanical Magazine, “should best be remembered as a merchant of plumbing products, a terrific salesman and advertising genius.” So there you go, such pearls of wisdom from Hillary (and Snopes).